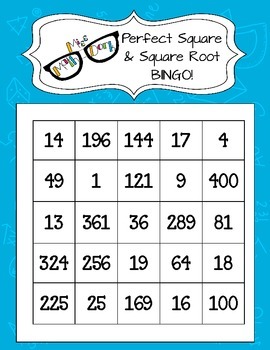 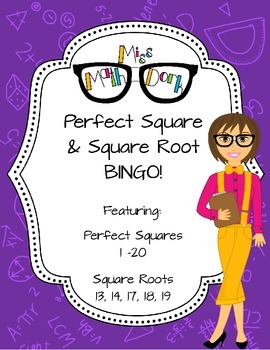 27 individual BINGO sheet featuring the perfect squares 1-20 and 5 square-roots (13,14,17,18,19). 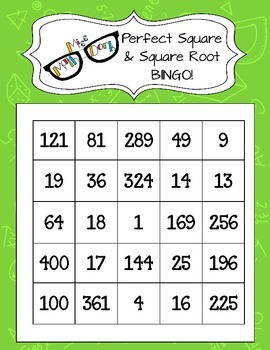 Ready to slip into a sheet protector with a dry erase marker and use! 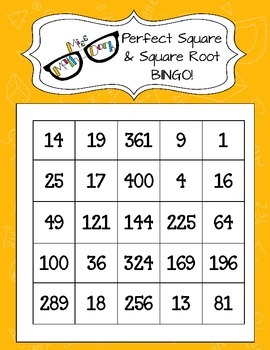 Teacher sheet with "calling cards" and 5 blank BINGO cards included.